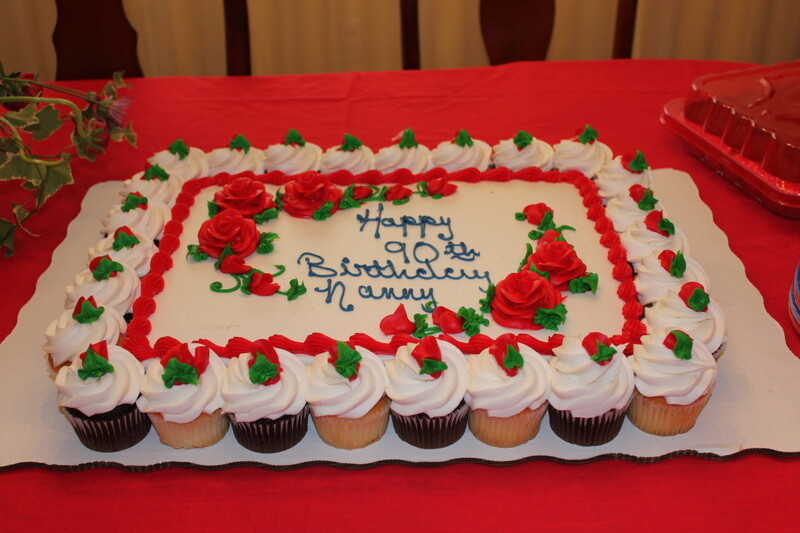 One year ago today we celebrated Nanny’s 90th birthday. 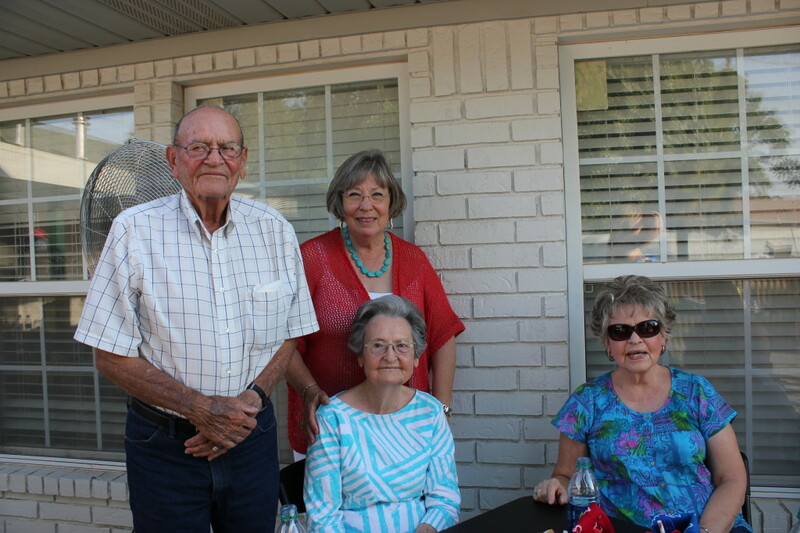 It was a special day for her and the family as she turned the big 9-0. 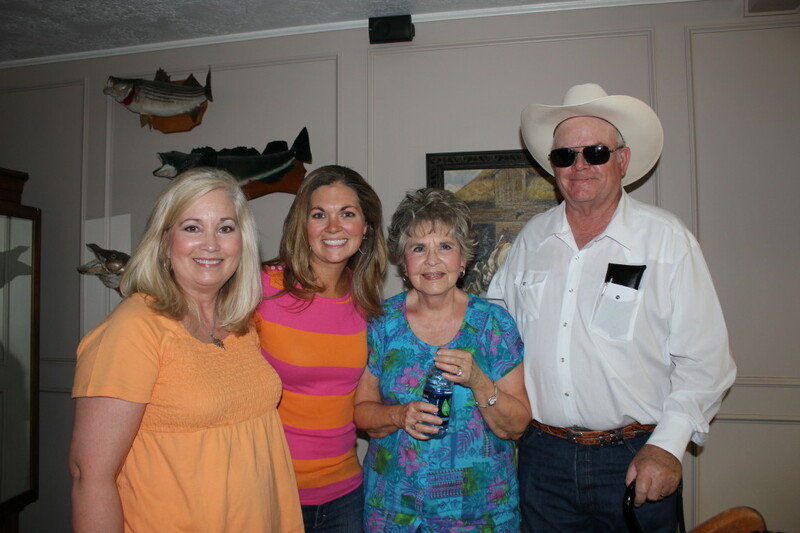 Family members from all over the great state of Texas (from Houston to Dallas to Midland to Arlington) made the drive to Odessa, Texas to celebrate with Nanny on her big day. 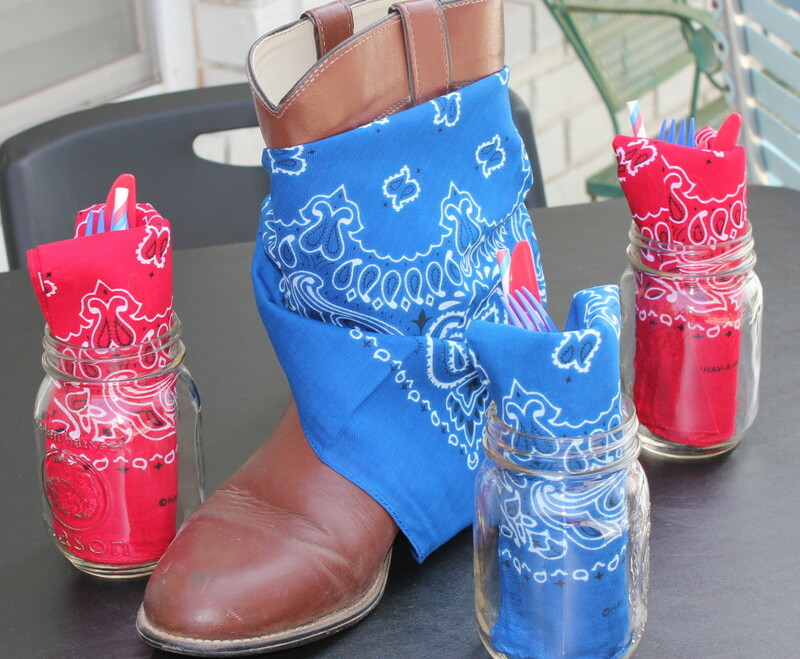 Compliments to my cousin Brooke for organizing the party, which was a big success! 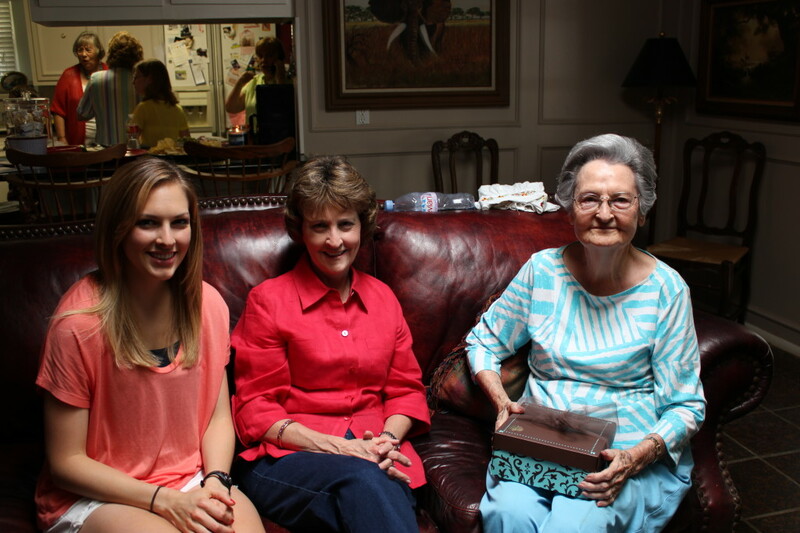 My sister and mom eagerly await as Nanny opens her gift. The party was Western-themed with cowboy boots, red and blue bandanas and BBQ. 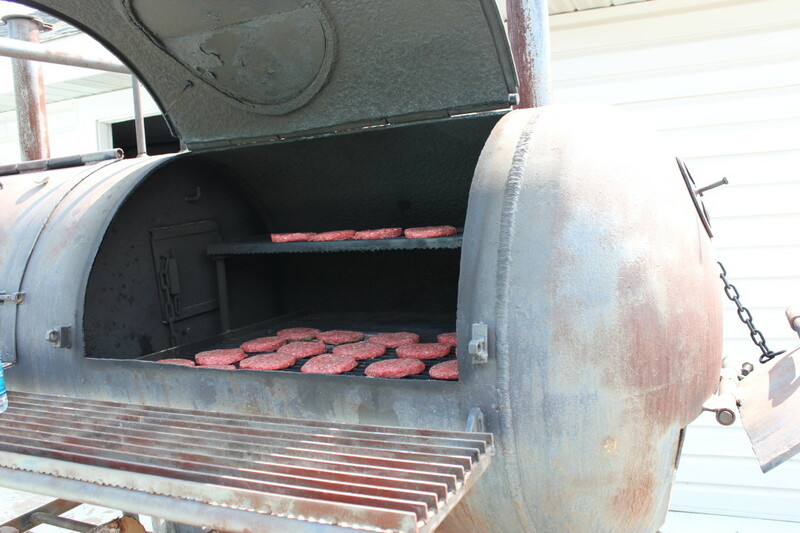 Brooke’s Dad Kimmy has this amazing grill where you can cook lots of meat at one time. 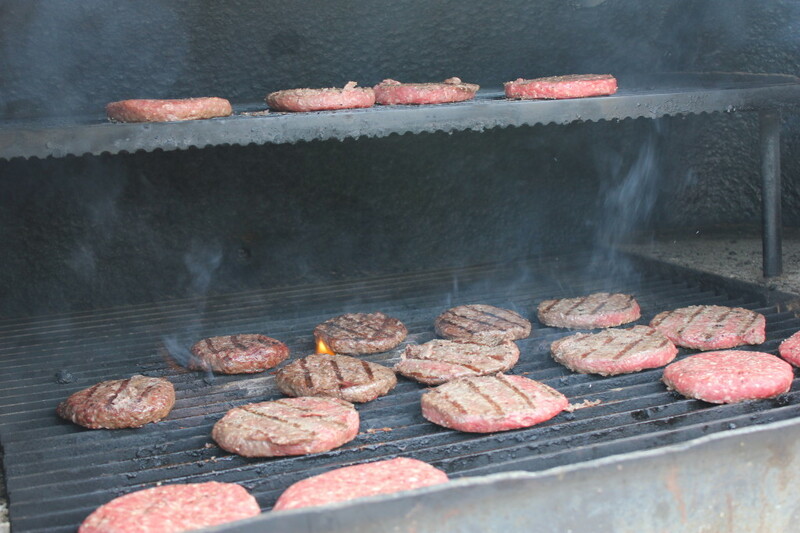 Check out all the tasty hamburgers on the grill! We also enjoyed a cupcake-cake. I’m not sure if that’s the correct name, but it looks like a cake from afar, but when you look closer, the cake is actually made up of alternative chocolate and vanilla cupcakes. 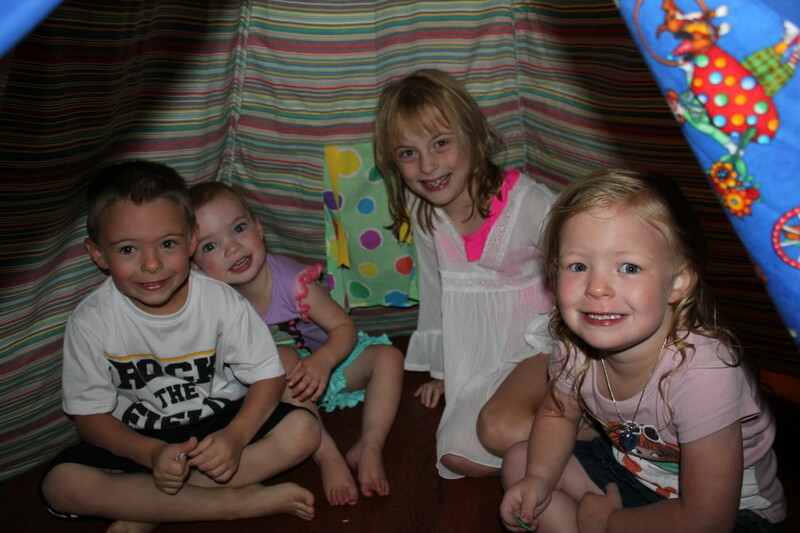 We also got to spend time with our little cousins. Aren’t they cute? 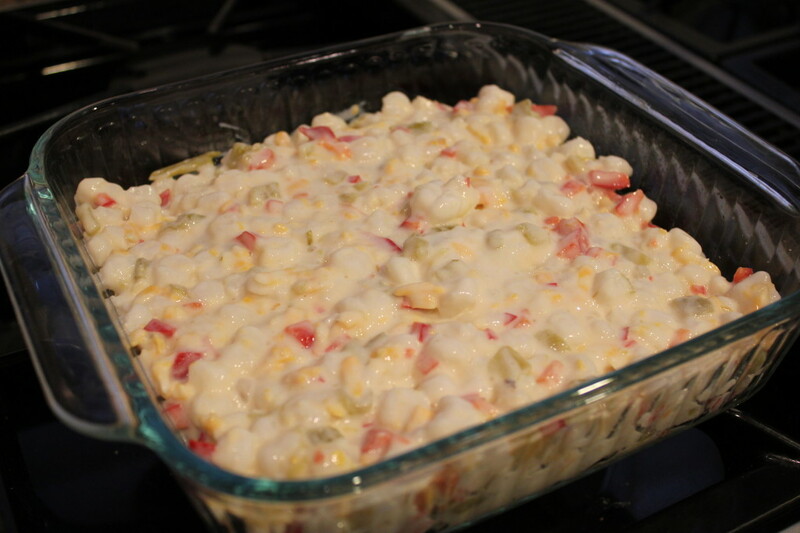 One of the dishes I discovered at Nanny’s birthday was my aunt Patty’s hominy casserole. 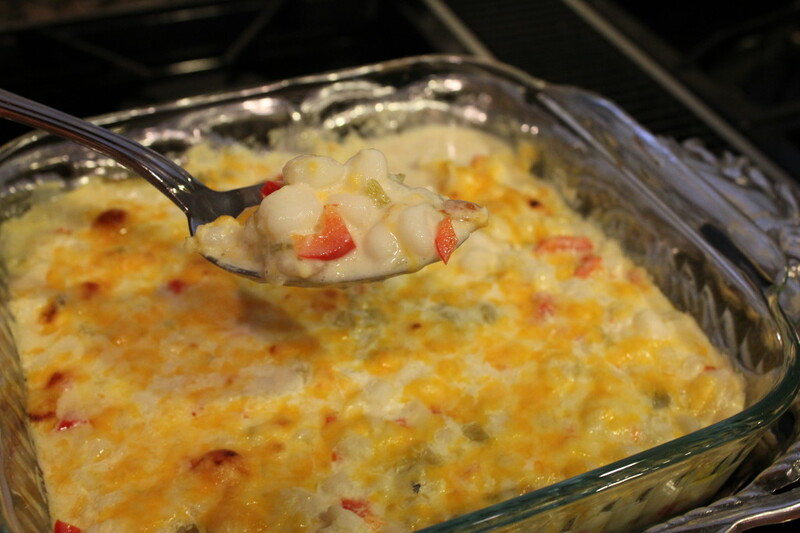 I had never heard of a hominy casserole, but fell in love with it after my very first bite. The recipe is super easy. 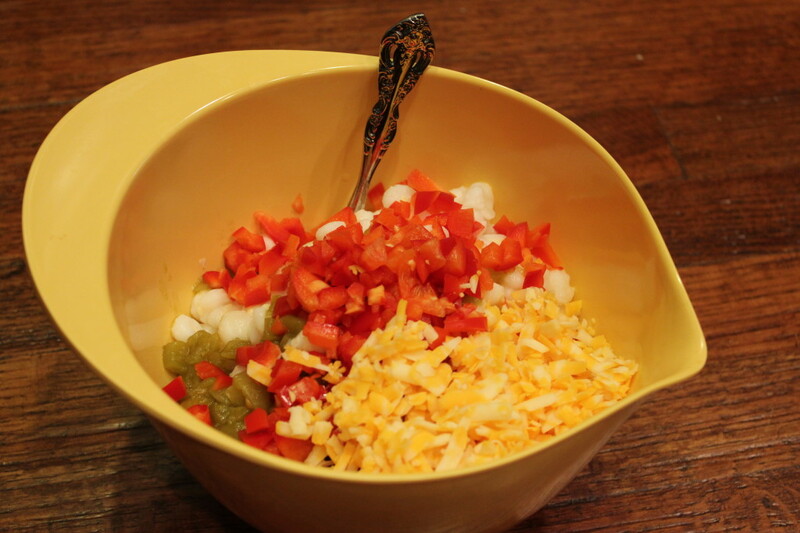 Simply combine 2 cans of hominy, a can of green chilies, 1/2 sweet red pepper and Monterey Jack cheese together in a bowl. They you pour it into a baking dish. 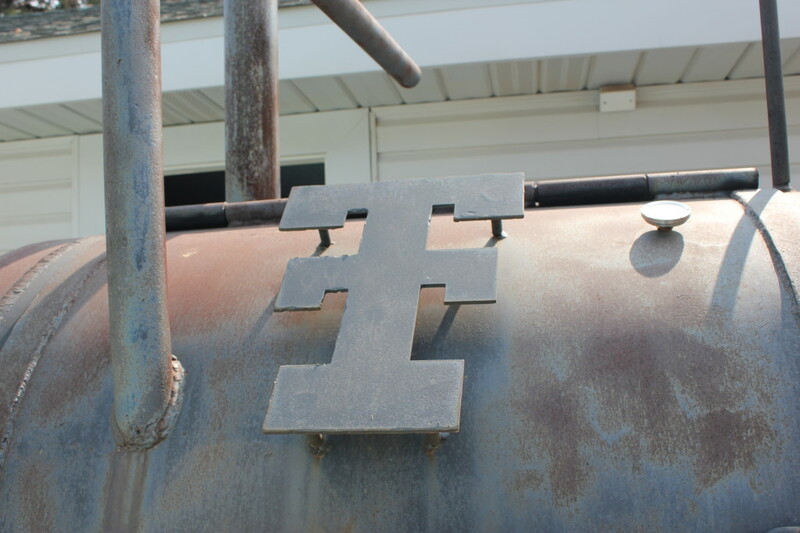 And bake for 30 minutes at 350 degrees F.
Beautiful, right? 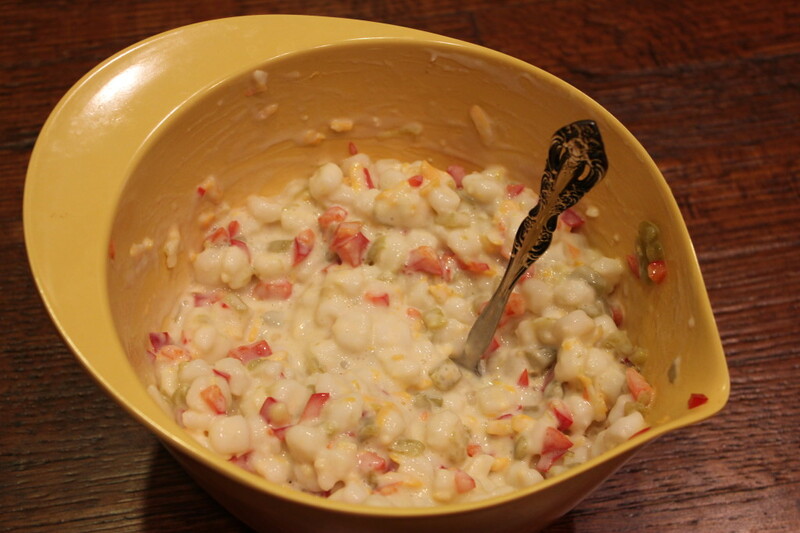 It’s super delicious and has a southwestern/Tex-Mex taste to it from the hominy. 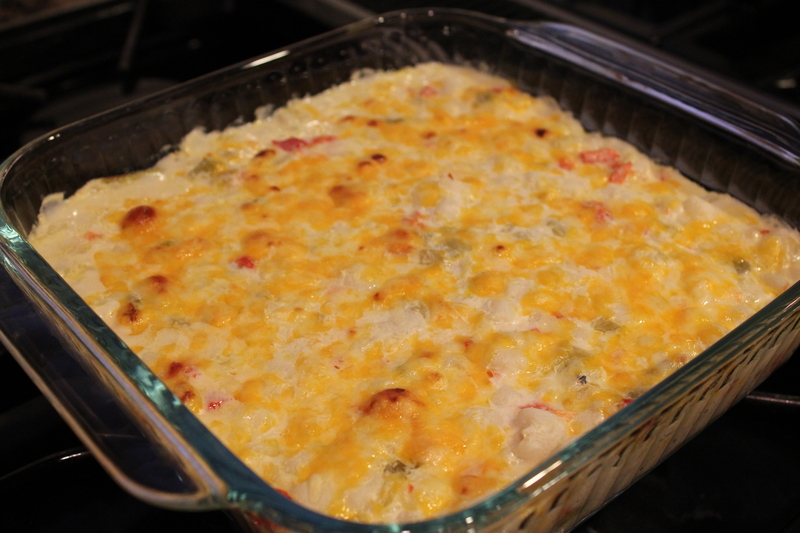 I used fat-free sour cream to lighten it up a little, but the full fat version would give you the best flavor. Yellow or white hominy you ask? I used white, but I hear yellow is sweeter. Next time I’ll try the yellow variety. Enjoy! Set aside half of the cheese. 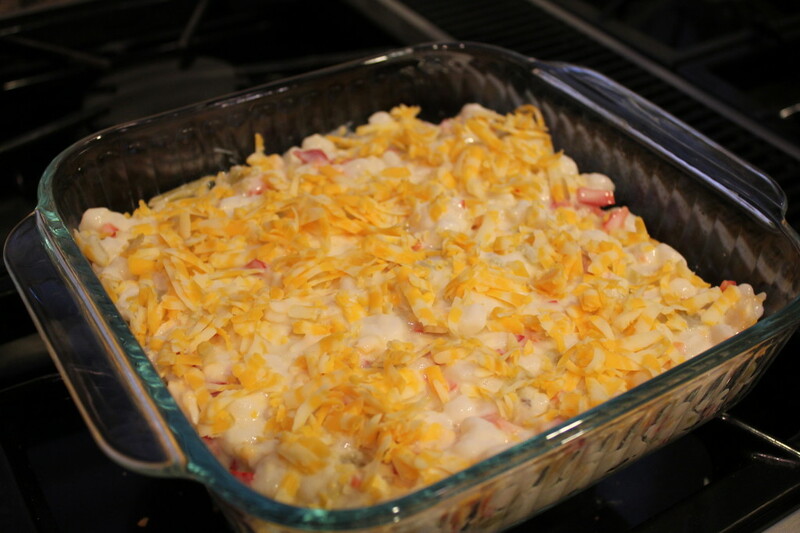 Mix the remaining cheese with the remainder of the ingredients and pour into a 9x9-inch baking pan. Top with remaining cheese. Bake for 30 minutes or until bubbly around the edges. 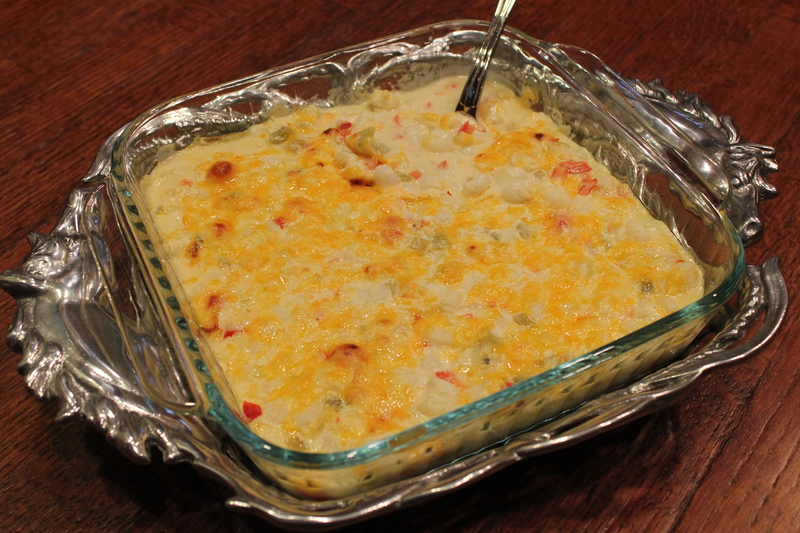 4 Responses to "Hominy Casserole"
Thanks for the hominy casserole recipe! The New Years Eve party crowd loved it and asked for the recipe. Easy & cheesy – two of my favorite things! So glad everyone enjoyed it!!! Enjoy your New Years and I’ll see you in the office!